PEOPLE LIKE US: Reid and Reckord performing Man With Machete. WHY are two grown, obviously well-off, women hitchhiking in the middle of nowhere at three in the morning? 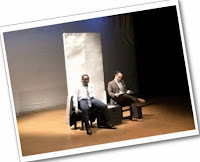 That question would no doubt cross your mind if you were part of the sizeable audience taking in The Runaways, one of seven short plays (mostly eleven minutes long) that comprised 7X11, put on by the School of Drama (Edna Manley College) at the Dennis Scott Studio Theatre on the weekend. Cleverly penned by Sophie Aguille and directed by Pierre Lemaire, the piece engrossingly explored fractious family dynamics, pride and ego, and finding the courage to seize one’s freedom. As it turns out, the younger of the two women (played by Dorraine Reid), curiously dressed in a black evening gown, is a housewife and mother (“I am not a prostitute!” she protests) fleeing the responsibilities at home that threaten to overwhelm and suffocate her. The older woman (portrayed by the imperious Grace McGhie) is a nifty broad whose son put her in a home for senior citizens called The Buttercups. She can’t stand the name of the place, much less its “ugly” facilities, staff and nosy residents. 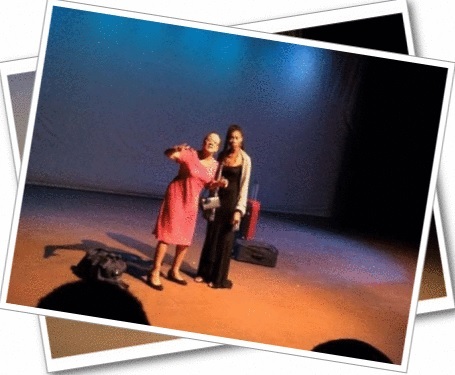 The dialogue is fast and snappy, frequently humorous and offers a revealing peek at the souls of these two strong-willed women, armed with their travel bags and suitcases, who may be from different backgrounds but could be mother and daughter. Their next stop is anyone’s guess, but they’re certain of one thing: they’re getting away – far, far away. Michael Reckord wrote and co-starred in Man With Machete, another highlight, which took an unflinching look at prejudice, the haves and the have-nots, the scourge of poverty and unemployment. Reckord plays a down-on-his-luck labourer going from door to door with his machete wrapped up in old newspapers. He encounters a brash, stylishly attired homeowner (Reid), who tells him quite bluntly that she has no yard work for him. A fierce verbal tussle ensues between the two. He feels she’s being hard-up; she wastes no time putting him in his place. In the end, he leaves dejected; she walks away with a rude awakening about some of the frightening realities facing ordinary people outside her picket fence. 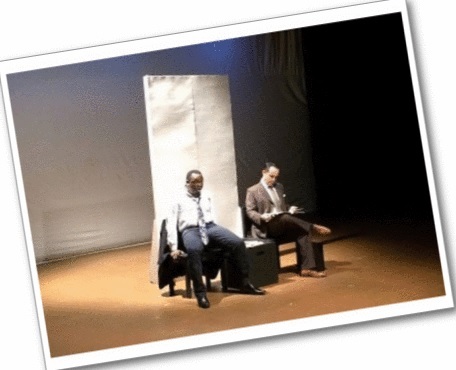 In addition to the rib-tickling The Glasses (with Jean-Paul Menou and Elizabeth Montoya-Stemann), Aguille also contributed It’s Raining, a droll piece featuring two men (Menou and Marvin George) in a job-interview waiting room trying to break the ice. 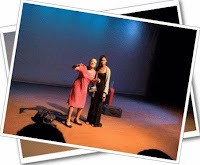 Noted dancer-choreographer Patrick Earle showed off his burgeoning acting chops opposite Camille Quamina in Apologies by Teixeira Moita, who also penned Mime, which paired Lemaire with Janet Muirhead-Stewart. 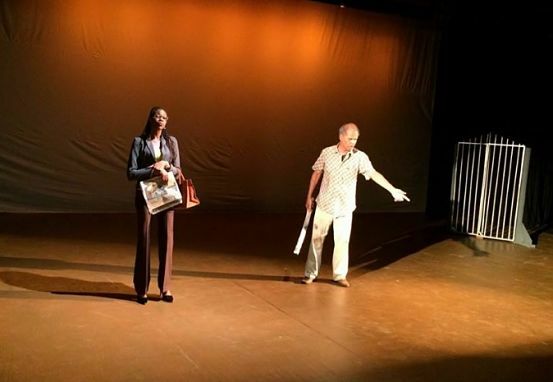 Reckord later took an unorthodox, almost absurdist, approach to his dialogue-free piece 2 Newspapers and Some Funny Furniture, with Lemaire, Montoya –Stemann and Neila Ebanks offering storytelling through a series of poses.